Buying an RV is a very personal decision. 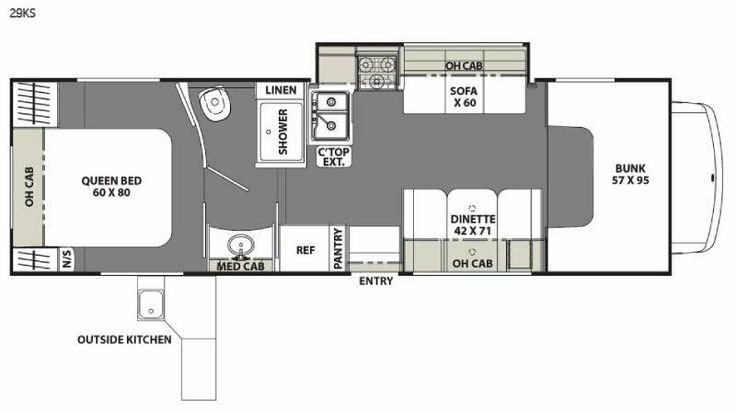 There are many companies and floor plans. We started our research on You Tube. We quickly decided that we wanted an enclosed coach so 5th wheels and travel trailer were excluded. We know length should be 30 feet or less. We knew class Bs would be too small. At first we did not want any slides. We stuck to that logic until our first RV show. I would highly recommend going to a show. Usually there are a variety of dealers along with many types of RVs. Take the time to peruse the different models. I am so glad that we did. It helped us make an informed decision. We quickly realized that having at least one slide would open up the living area. That is important on the rainy days when you will be inside more. We realized that any coach less than 24 feet was not going to meet this criteria. We also felt that most class A were too large for us, even those under 30 feet. We fell in love with the class C. We ended up buying a 2016 Coachman Freelander 29KS. It was funny that this coach met all our criteria but it was not part of our original short list. I have no complaints after living in our coach for two months. It is roomy. It just fits us. So enjoying reading these posts. Can’t wait to witness the who, what and where. Traveling mercies. Keep living out loud!